With the ultimate goal of achieving zero land fill, the government frequently introduces different initiatives to help businesses reach their targets. Therefore, the recycling industry itself is always changing and those within the industry itself need to be sure they are keeping pace by having all of the most up to date equipment on board. This equipment includes things like magnetic separation and eddy current separation which have the task of recovering both ferrous and non-ferrous metals. 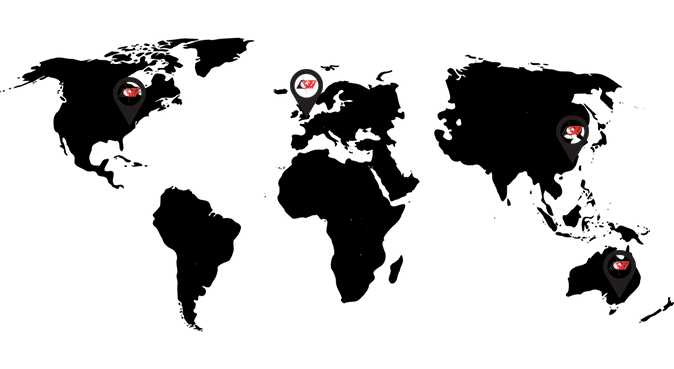 Bunting Magnetics can supply a whole range of equipment for this particular industry and below is a list of just some of those that are available. For further information, please feel free to contact the experienced technical team at Bunting. Materials Recovery Facilities (MRF) – All sorts of materials end up in these facilities such as plastics, cardboard and various kinds of metal. Cross belt separators, drum magnets and eddy current separators are all employed in various ways in this particular environment. Cross belt separators, also known as overband magnets in addition to drum magnets are used when ferrous metals like steel need to be recovered. To separate non-ferrous metals like aluminium cans, an eddy current separator can be used. Recycling Scrap – Scrap isn’t just metal but very often there are significant amounts of metal involved, from cars and other vehicles (ELV) as well as other sources. The scrap materials are first sent through a shredder and once this part of the process is complete, magnetic separators are employed to pick out the ferrous metals. In many cases, after the magnetic separators have been used, an eddy current separator is also utilised, which will help to separate and remove non-ferrous metals. Electronics Recycling (WEEE) – E-waste consists of things like computers, TV’s and other electronic equipment, most of which contains metals that are both ferrous and non-ferrous. Once again magnetic separators and eddy current separators are used to separate the ferrous from the non-ferrous once the shredding process is complete. Construction & Demolition – When buildings are demolished, the remaining materials are often recycled and used in other industries (see our page on aggregates, mining & quarrying for more information). However, before they can be used effectively, the trap metal (reinforced steel, nuts, bolts, wires etc.) needs to be removed. This ensures the cleanest product possible, while the trap metal can be sold on independently. Wood Recycling – Recycled wood is perhaps one of the more complicated materials to clean, in the sense that it often contains metal objects such as nails and wires and some of these metal contaminants are often sharp and long and there is the possibility that they might damage the belt of the Cross belt separators (overband magnets). 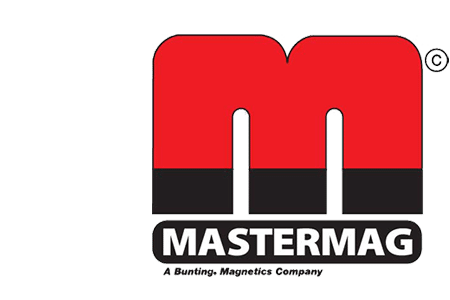 Bunting Magnetics are able to supply cross belt separators that have been set up in such a way that they will remove nails automatically while simultaneously avoiding damage to the belt. Eddy current separators can also be used in this process. Incineration Ash – Burned waste produces incineration ash and this is then collected. Amongst the ash can be found things like sand, glass, as well metals – both ferrous and non-ferrous. Using a combination of magnetic separators and eddy current separators, these materials can be efficiently removed from the ash. Plastics Recycling – With the cost of raw plastic materials significantly increasing, recycled plastics are being used more and more frequently. You can find much more information about this on our plastics industry page but Bunting Magnetics do supply a range of metal detectors, eddy current separators and magnetic separators that are suitable for the recycled plastic industry. Cross Belt Separators – Also known as suspended magnets and overband magnets, they are designed to constantly pick out and remove large chunks of metal from whichever product is on the conveyor belt. They are placed in a suspended position over a conveyor built or sometimes over a head pulley. In many cases they will be set up in advance of an eddy current separator and go about separating ferrous metals. Magnetic Separation Pulley – One of these pulleys can be used to transform a standard conveyor into a self-cleaning magnetic separator. A magnetic pulley is used instead of a head pulley and the metal debris, like bits of wire or nails stay attached to the belt, where it will then be moved out of the relevant product flow. Drum Magnets – Material moves over the drum magnet and because the magnetic pieces are attracted to the drum and then stick to it, the ferrous metals are automatically removed from the product flow by being collected separately. 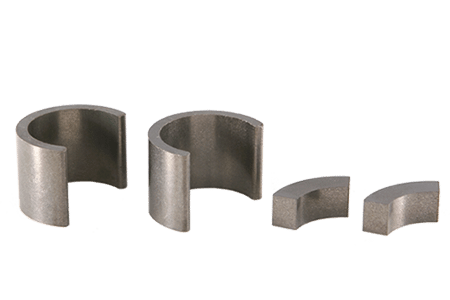 These magnets are available in different set-ups and which set up your require will depend on the kind of metal that needs to be picked up and the application in question. 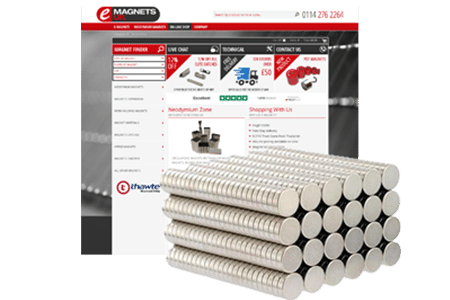 FF Drawer Magnets – Made from Neodymium Rare Earth magnets, FF Drawer magnets are powerful and perfectly suited for retrieving the tiniest pieces of metal from free flowing dry products. They have been designed with plastic recycling as their primary purpose. If there is limited headroom, it might be better to use a low profile drawer magnet instead. 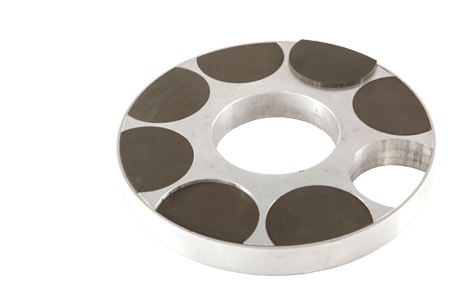 Plate Magnets – These magnets (available in either manual or pneumatic versions) collect fine ferrous metals as well as larger sections of tramp metal out of free flowing materials. They are situated either above or below the product flow and are especially effective when the materials are either damp or moist. If the flow is enclosed you can use a plate in housing option instead. If the level of metal contamination is low and very little cleaning is required, then suspended plate magnets are ideal for these kinds of recycling applications. 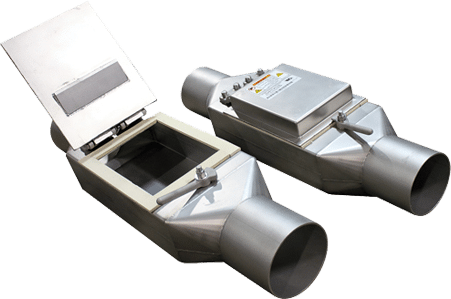 Eddy Current Separators – Used throughout the recycling industry and especially in a materials recycling facility (MRF) to separate non-ferrous metals such as aluminium cans. The separator creates and eddy current which goes to work on the materials it’s being fed. Any non-ferrous metal is repelled by the magnetic rotor which can then be collected away from main stream of waste. Usually set up in an area where ferrous separation has already occurred, they can be combined with magnetic separators to produce a comprehensive metal separation kit. Vibratory Feeders – As the name suggests, this piece of equipment is used to feed materials onto eddy current and magnetic separators, as well as conveyor belts. Depending on what is required, Bunting Magnetics can supply a range of different models.